We have reason to fear the latest outbreaks of preventable diseases — vaccination rates are waning, and they are critical to disease control. Immunizations are one of the most cost-effective ways of preventing disease. The World Health Organization (WHO) has named “vaccine hesitancy ” — the reluctance or refusal to vaccinate despite the availability of vaccines — as one of the top ten threats to global health in 2019. While national immunization rates remain high, vaccine nonmedical exemptions, which have been allowed in 18 states throughout the U.S., have created “hot spots” for diseases that are entirely preventable. Since 2009, the number of vaccine nonmedical exemptions has risen in 12 of the 18 states that currently allow this policy and some communities' vaccine coverage is slipping below the 90-95 percent coverage rate that experts say is needed to prevent outbreaks. Pertussis, or whooping cough, is a highly contagious illness characterized by a severe hacking cough, which can last for 10 weeks or more. It was first recognized in the Middle Ages; a vaccine was developed in 1914. In the 1940s, the pertussis vaccine was combined with tetanus and diphtheria toxoids to become DTP, which proved to be 80-90 percent effective. “It’s a very painful disease,” said Dr. Carrie Byington, a professor of pediatrics at the University of Utah who heads the American Academy of Pediatrics’ committee on infectious diseases. “It’s not like any other cough you’ve experienced. Even as an adult, you can’t really control it. It’s incredibly powerful.” There has been a significant increase in pertussis cases in the United States in recent years, reaching numbers not seen since the 1950s. Experts attribute this spike to counties with high levels of vaccine exemptions, as well as the absence of long-term protection. Though protection does wane, doctors suggest booster shots, especially for children and pregnant women. Pertussis is especially dangerous for babies, who can stop breathing during coughing fits and die. Before the diphtheria vaccine was introduced in the 1920s, it was a deadly childhood disease — 206,000 cases resulted in 15,520 deaths in the United States alone in 1921. After the vaccine was made widely available, rates of diphtheria quickly dropped in the U.S. Like pertussis, the diphtheria vaccine has a nearly 95 percent protection rate, and a booster is needed every 10 years to ensure immunity. Serious complications and death can arise if diphtheria is contracted. Up to one in five young children and older adults who get this disease die as a result. Diphtheria destroys healthy tissue in the respiratory system, which can cause pneumonia and lung failure. The toxin can also travel through the bloodstream, causing paralysis and serious damage to the heart, nerves and kidneys. 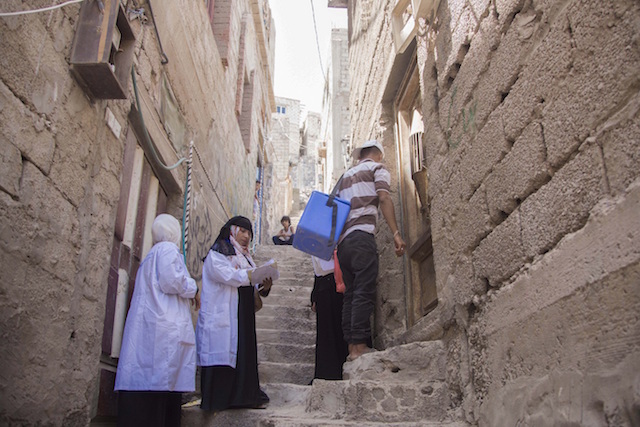 A resurgence of diphtheria due to decreasing rates of immunizations in certain regions of the country would prove catastrophic as the case fatality rate has changed very little in the last 50 years and it continues to be a major cause of illness globally. There were several outbreaks of the mumps in 2016, with 6,366 cases throughout the United States. While the vaccine’s effectiveness — providing 88 percent protection —decreases over several years, it continues to reduce the risk of more serious complications. Before the vaccine was developed, mumps accounted for about 10 percent of viral meningitis cases in the U.S. Other rare complications include inflammation of reproductive organs that may affect fertility, swelling of the brain (encephalitis) and deafness in one or both ears. According to infectious disease specialist William Shaffner, vaccination reduces the severity of symptoms: "Your illness is milder, and this has been a striking feature of the mumps outbreaks that have been studied." The latest outbreak in the U.S. 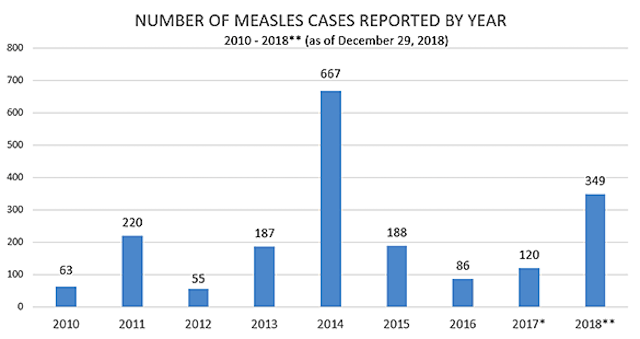 The recent outbreak of measles in the U.S. showcases how important vaccines are in disease control, even with illnesses that have not been seen in a long time. Immunizations save 2 to 3 million young lives each year. Over 1.5 million children die annually from diseases we can prevent. UNICEF is the world’s largest procurer of vaccines and immunizes nearly half the world’s children. Learn more about UNICEF’s work in immunizations here.